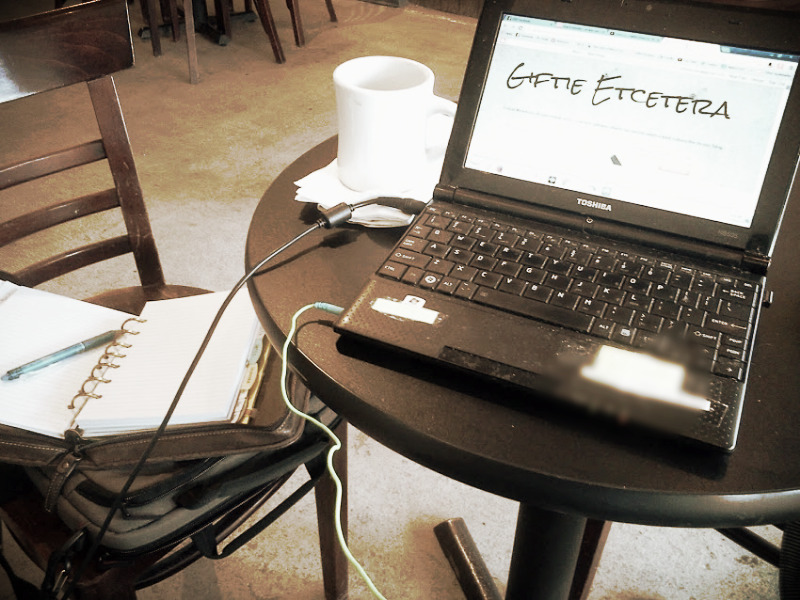 Several times per week, I can be found at a coffee shop, planner and laptop in hand. The atmosphere of the coffee shop, complete with studying college students, sales people taking meetings, and the chit chat of retirees helps me to focus and feeds my extrovert tendencies. But, sometimes, I see appalling behavior. In the interest of the coffee drinking public, please keep these coffee shop etiquette rules in mind. *Don't be a space hog. If the shop is fairly empty, it's fine to spread out to two table tops. I often use extra chairs to hold my bags and work planner. But in a crowded coffee shop, limit yourself to one small table top and one chair. Yes, someone will eventually come around and collect your dirty dishes. But it's just nice if the rest of us don't have to move your lipstick stained mug in order to claim a table. *Notice the clues that someone does not want to be disturbed and respect that. Clues include the wearing of headphones or ear buds, documents spread in an intricate pattern on the table top, or a surly expression. Patronize your coffee shop. They have to pay for wifi and space. You shouldn't use it for free. *Use a reusable mug when possible. Why waste a paper or styrofoam cup if you are going to drink your coffee or tea inside of the coffee shop anyway? If you sometimes bring coffee with you to go, pour it into your own empty travel mug. Save the planet, people. That one is self-explanatory, right? (And relevant when drinking coffee. Am I right?) Also, wash your hands. You know who you are. *Talking (even on cell) is allowed, but use your inside voice. I sometimes see people studying in coffee shops and complaining on Facebook that people are talking. I think that is a little unfair. It's a public place that is designed to be social. But the problem, in reality, isn't the talking, but the use of a boisterous tone. Use a quieter, more appropriate voice level instead. Don't coffee and a planner make a lovely couple?